Pillars of Dreams provides an experiential icon on the plaza at the new Valerie C. Woodard Center. 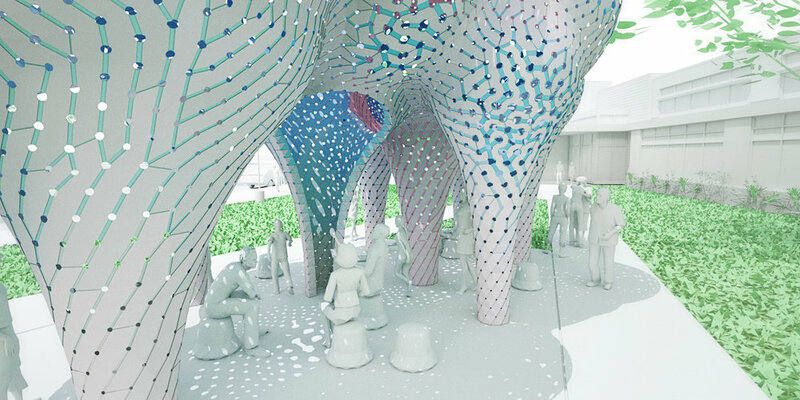 A cloud-like canopy resolves into seating, establishing a public agora for visitors and staff. 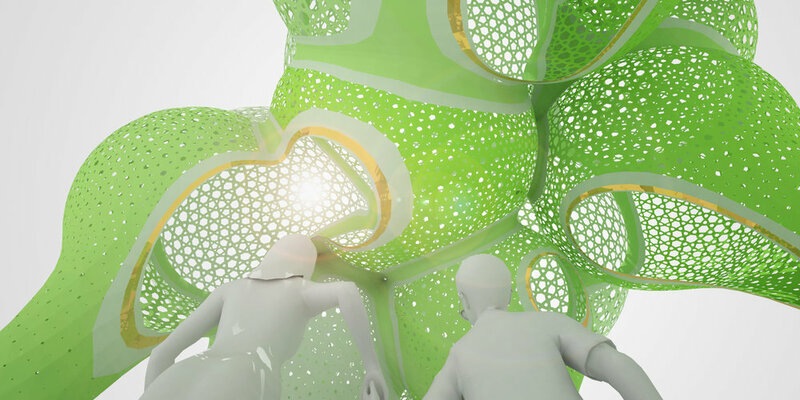 The airy structure creates shade and dynamic lighting, inspiring curiosity, collegiality, and a renewed spirit of place. Expected completion in early 2019. An original work commissioned by Mecklenburg County, North Carolina, the Charlotte/Mecklenburg Public Art Commission and Arts and Science Council - Charlotte/Mecklenburg.